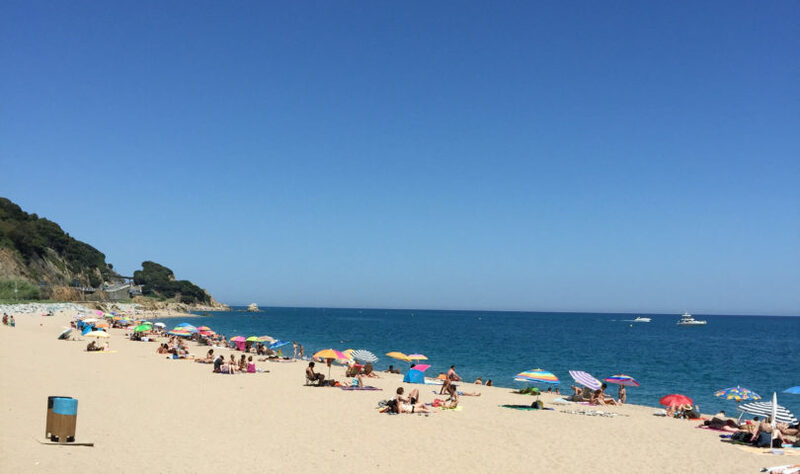 Look, we all know why you want to travel to the Costa Brava. There’s a reason they call it the Wild Coast. You plan on enjoying the incredible wines made in the region that ship internationally. And you want to soak up the sun while you do it. It’s a good thing that on the Costa Brava, you can do both. 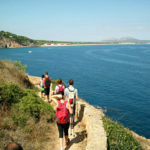 This area in the Girona province is blessed with incredible beaches and beautiful wineries. Oh wait, is that supposed to be beautiful beaches and incredible wineries? I might have had a drop or two of the famous wine from the region. Purely for sampling and research purposes, of course. The Wine Palace is the perfect way to start through the wineries in the region. I know that it’s kind of cheating because it’s not actually a winery. It is, however, a great place to sample of the local drops and discover a new vintage. 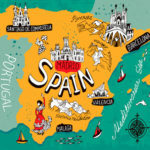 You can browse through a selection of thousands of wines, the small estates and the large wineries. You can get the benefit of experience from the helpful staff there when deciding which bottle works with your taste and price range. They even hold tastings and courses to identify and pair wines. It’s a great introduction to the area. The one thing I’ll advise is to go there prepared to spend money. As you sample through the wines, nibbling on the snacks, you’ll come across bottle after bottle that you won’t want to leave without. You might end up with more than a few drinks to spare when you finally make your selection. Mas Molla in Calonge is more along the lines of a traditional winery complete with everything you’d expect from a reasonable-sized estate. 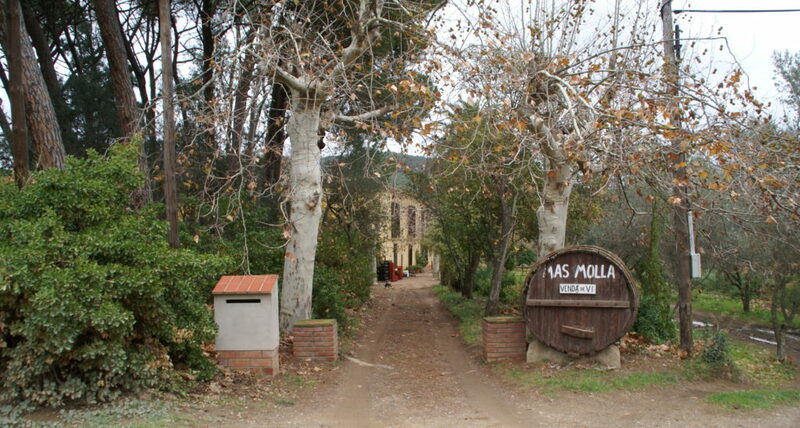 Start with a guided tour of the area, the cellar, the vineyards, and learn the history of this place. This is traditional winemaking at its best. The farmers still practice the same techniques used generations ago to make these wines, and the taste speaks for itself. The quality is something you would expect from a commercial outfit, but the small winery deceives you that way. It’s actually much bigger and better than you first realise. But since they’ve been making wine for over 650 years, it’s no wonder they get it right every time. Because the wines are made with traditional means, it’s never the same bottle that you buy. You can come back year after year, and discover entirely new tastes because the weather, the humidity, and the harvest is always different. It’s that diversity that makes this place a must-visit. You can even stay in the area by renting your own private villa in Calonge. Is it unusual to have a winery featured in architectural magazines? 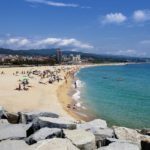 Once you discover Bell-Lloc in Palamos, you’ll rethink your answer. This whole area has been recently redesigned with a modern twist on the ancient site. Bell-Lloc is the mixture of old ways with new ideas. 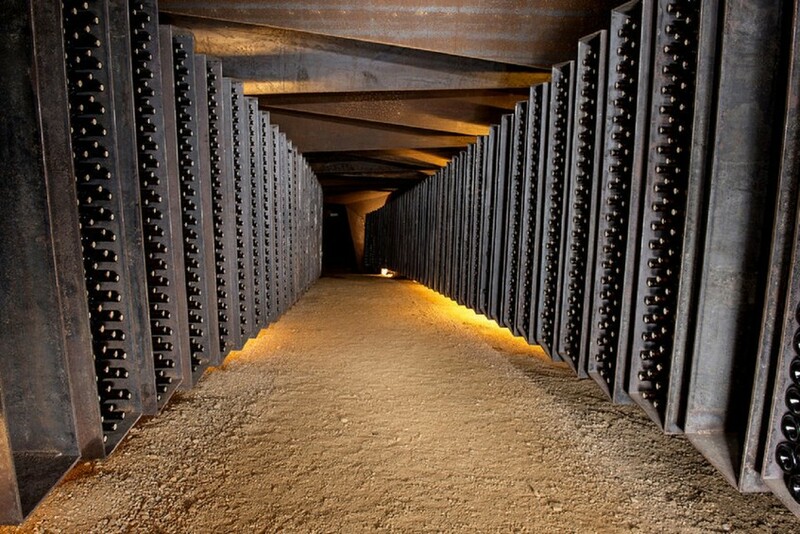 The vineyards, the fermentation room, the whole cellar and the walkways between them look incredibly high-tech. Come for a tour of the area that was originally designed for a private family to revamp and renew the dusty old buildings. It is now a popular destination to explore the wineries of the area. I can guarantee that you won’t soon forget this place amongst all the other wineries around. Stay for a meal in the little pavilion in its rustic setting and gorgeous natural surroundings. 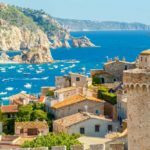 Although you might be tempted to drive straight through, Sant Pol del Mar is the destination you should seek out. The town itself is small and doesn’t get recognized for anything special. But the beach is certainly worth mentioning. 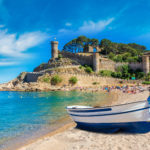 It truly is one of the best-kept secrets on a stretch of Costa Brava that’s swarming with tourists searching for the sun, sand, and sea. It’s completely bare and free from crowds most days of the year, but I can’t work out why. The beach is over 1 kilometre long and extremely wide, making it a family-friendly place. The sand is clean and pure while the water is fresh and clear. On this rugged coast, it’s tough to find as much unspoiled beach as this place. 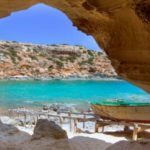 Normally, you have to swim between rocks and shelter under large rocks, but Sant Pol del Mar is as amazing as you want it to be. Make this your prime destination, and you’ll never want to leave. In Blanes, the Cala Sant Francesc is what defines the region. It’s small, quaint, inviting, and perfect for just you or the whole family. That’s what Costa Brava is all about and this fishing village is the epitome to behold. 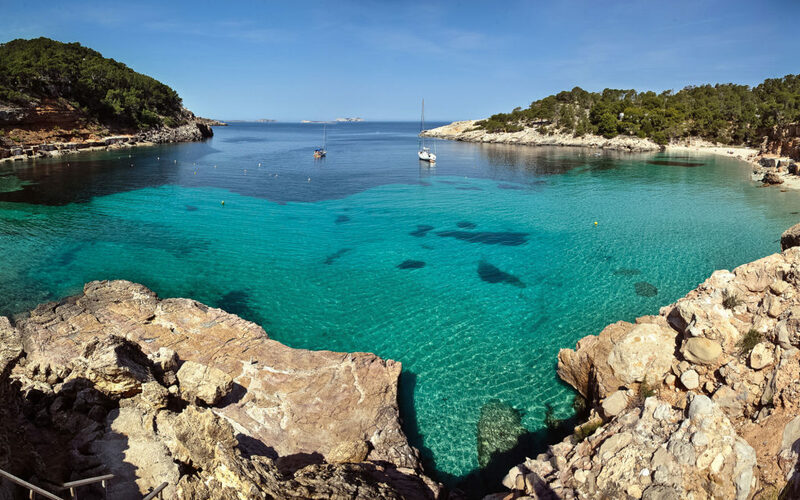 Cala Sant Francesc has exceptionally calm water and is surrounded by the pine trees famous in this region. You can easily get there, making it impossible to miss, and is safe and fun for everyone. The lifeguards and wide beaches make it family-friendly, while the restaurant and showers make it perfect to enjoy for the whole day. Stay in a private villa in Blanes to get the most out of the experience. Refresh in the water, lie on the sand, or enjoy a stroll along the shoreline. Ideal! 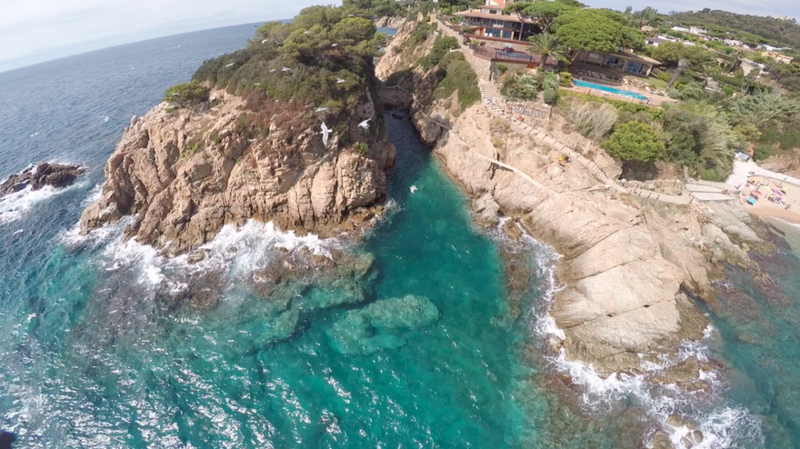 The coastline of Costa Brava can be rugged and unforgiving at times. The rocks and steep cliffs make some areas nearly impossible to visit. They may look stunning, but they aren’t always great beaches. But Cala Giverola in Tossa Del Mar defies the odds. It gives you a great beach with sandy shores between the rocks and cliffs that border it on either side. The beach is small, only 170 metres long, but wide enough for a few people to enjoy it without feeling like you’re cramped for space. You can enjoy the water on the kayaks and boats for hire on the beach, allowing you to explore the rocky ledges and coves nearby. The snorkelling here is also worth the trip, so be sure to take your fins. Many of the beaches and coves in the area are only accessible by boat or by walking through dense forest. This beach has ample parking and can be easily accessed by car. Have fun exploring why this coast is such a hot spot. The wines and the waves, the drinks and the dunes, this place has it all. 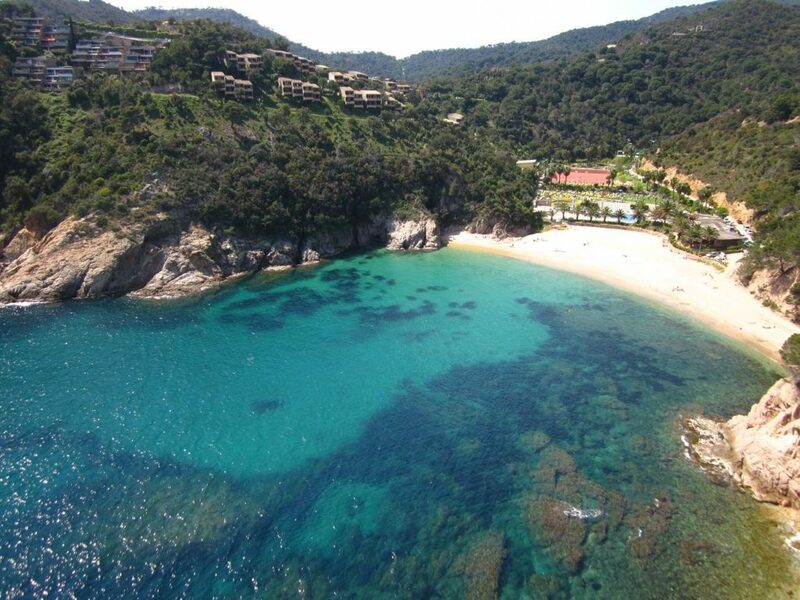 It’s your own personal paradise and Costa Brava welcomes you all to enjoy what it has to offer.